After three weeks of down trending volatility, the bearish action of the past three days has caused the VXN (volatility index for the NASDAQ-100) to reverse course and spike back above the 10 day simple moving average. As the NASDAQ-100 (NDX) has fallen more dramatically than the S&P 500 has this morning, the corresponding spike in the VIX, while similar, has not quite moved that volatility index up to the 10 day SMA. As best as I can determine anecdotally, the use of volatility indices – particularly the VIX – to measure the ebb and flow of market sentiment has been on the rise in recent months. One of the most common ways to use the VIX is to measure the deviation from the 10 day SMA and bet that the larger the deviation, the more likely the index will rapidly move in mean reversion fashion in the direction of the 10 day SMA. In trending markets, the mean reversion plays are excellent opportunities to add to a trend trade. 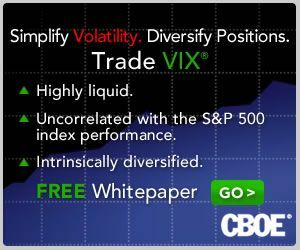 When the markets are moving sideways, as they appear to be doing now, the VIX is better used as an oscillator for timing swing trades from one sentiment extreme to another. In the chart below, I have added 10% and 20% moving average envelopes to the VXN to help define the most likely parameters of a volatility swing. While some resistance is usually evident as volatility swings back over the 10 day SMA, the opposite side of the 10% moving average envelope – a VXN of 30.09 in this case (26.09 for the VIX) – is where the volatility swing is most likely to run out of steam as it encounters stronger resistance. On the chart, the 10% moving average envelopes are represented by the dotted green lines. The solid green lines are 20% moving average envelopes; these usually signal the end of an extreme volatility swing and are more reliable mean reversion trading signals. You can use them on some other grounds. Electronic and chemical desulfators have been on the market for years. The concept also appeals to the commuter who is looking for a quick and reliable transport method to get into and around towns and cities and for anyone who is looking to kick-start their fitness regime either after illness, injury or inactivity. Lithium Poly batteries are on the vanguard of cell phone battery technology and like any new inovation it is limited in its availability. Some of this history is mentioned in Pine Bluffs: Wyoming's Rest Area, Hiking Area and Archeological Site.